I hereby accept that my family name, first name and institution may be mentionned on the attendees list. Transport, museum, cruise... all of Paris in one Pass! that enables you to discover the French capital’s top sights (Cruise on the Seine, Le Louvre, Notre-Dame, Eiffel Tower,...) and benefit from numerous practical advantages that will make your trip to Paris even more enjoyable! 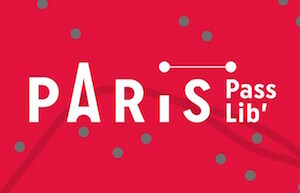 The Paris Passlib’ is available in a Mini, 2, 3, or 5 day version to adapt to what you would like to see and do. It gives you priority access to the main sites and unlimited travel on Paris’s public transport. Cancellation requests must be sent to Insight Outside either or by email.